Michael Ocasio, President/CEO, Maria Lopez, Loan Administrator, Pam Finn, Chief Operations Manager and Richard Lee, Vice President attending ribbon cutting ceremonies for The Sofia Tsakopoulos Center for Performing Arts, a thirty million bond financing project supported by Small Business Development Corp of Orange County. 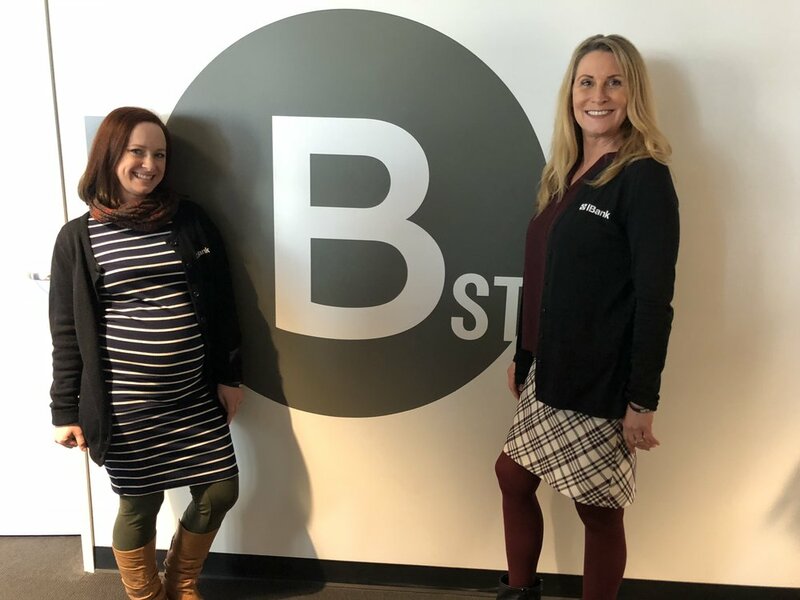 For more than 25 years, B Street Theatre has been delighting audiences of all ages. Founded by actor Timothy Busfield (he's starred in TV shows like "Thirty Something" and "The West Wing," and movies like "Field of Dreams.") in 1986 as Theatre for Children, Inc., the company's first focus was a touring theatre company for children. The B Street Theatre School Tour (formerly known as Fantasy Theatre) was and continues to be extremely popular in the community- performing 12 times per week, 38 weeks a year. 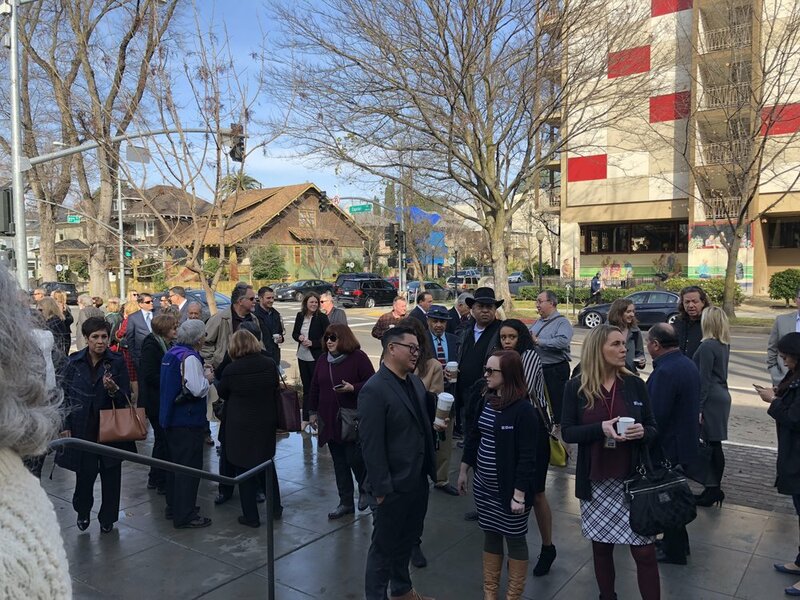 The School Tour has received critical acclaim by the media, educators and most importantly, the estimated 3.6 million California children (currently about 200,000 per year) who've attend performances. For many children, The B Street Theatre School Tour is their only exposure to the live theatre. 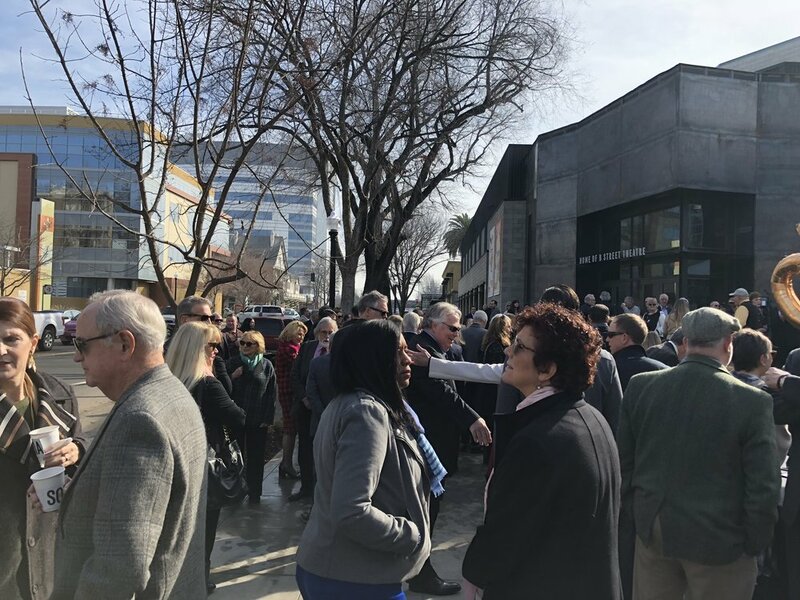 In 2016, the company broke ground on Capitol Avenue to build The Sofia, Home of B Street and in 2018, B Street moves into their brand new, state-of-the-art-complex: The Sofia Tsakopoulos Center for Performing Arts.